We have been busy reviewing the results of the Camp Roberts / Relief 12-3 mapping experiment for the Horn of Africa. In this phase of the project, the OpenStreetMap (OSM) community was provided short-term access to high resolution commercial satellite imagery over two large collections of refugee camps in Ethiopia (Dollo Ado) and Kenya (Dadaab). The goal was to map the roads and footpaths in 10 refugee camps, that contain a population over 600,000 people, in 48 hours. A more detailed numerical analysis of the data will follow, but from a qualitative perspective the results are amazing. Below are examples taken from one specific camp, the Bokolmanyo camp in Ethiopia, and links to each of the 10 camps mapped in the experiment. The ‘Dollo Ado’ refugee camp in Ethiopia is actually composed of 5 individual camps. These camps literally did not exist in OSM before the experiment began. 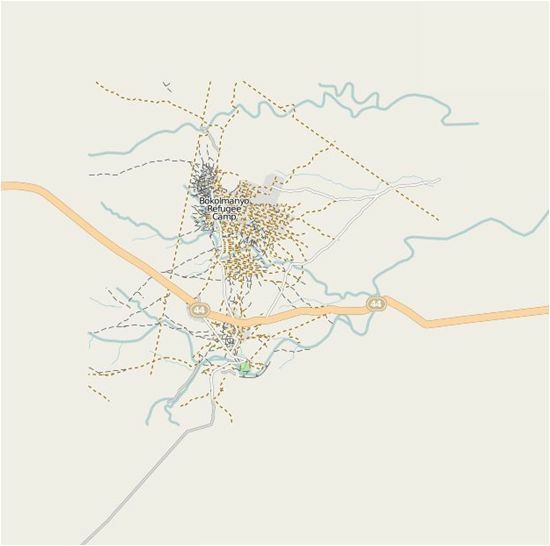 The latest population estimates for the camps report that in total there are 151,972 individuals / 36,721 households living in the Dollo Ado camps (from the UNHCR data portal for the Horn of Africa, and specifically the 22 May 2012 Dollo Ado population statistical report). Similarly, the ‘Dadaab’ camp in Kenya is also composed 5 individual camps with a total of 465,334 individuals living there (UNHCR 20 May 2012 Dadaab population statistical report). These camps have been in operation longer than Dollo Ado, and contains 3 times more people. At the beginning of the experiment 3 of these camps had some map data in OSM, however the newer Ifo 2 and Kambioos camps were non-existent. All camps had significant improvements. These impressive results are due to the hard work of a wide range of people, and I would like to thank several of them: first is the OSM volunteers who donated their time and energy to mapping these camps – you literally helped put 600,000 people on the map; the HIU technology team who went above and beyond in getting the tech stack running; the State Department, Office of the Geographer (Lee Schwartz and Benson Wilder) – USAID Office of Foreign Disaster Assistance (Chad Blevins) – USG partners (Katie Baucom and Nat Woolpert) who were key to keeping the process moving; John Crowley for providing constant energy and opening the Camp Roberts venue as a place to work; Kate Chapman and Schuyler Earl from the Humanitarian OpenStreetMap Team for advising on the process and making modifications to the tasking server to accommodate NextView; the UN’s Operational Satellite Applications Programme (UNOSAT) for its early help with image processing and serving. Let’s hope this is just the beginning. I’ll be posting the results of the numerical analysis here, as well as details on the actual request workflow and technological implementation. Over the past year, the Humanitarian Information Unit (HIU) at the U.S. State Department has been working with the Humanitarian OpenStreetMap Team (HOT) to publish current high-resolution commercial satellite imagery during humanitarian emergencies. The imagery is used to map the affected areas, and provide a common framework for governments and aid agencies to work from. 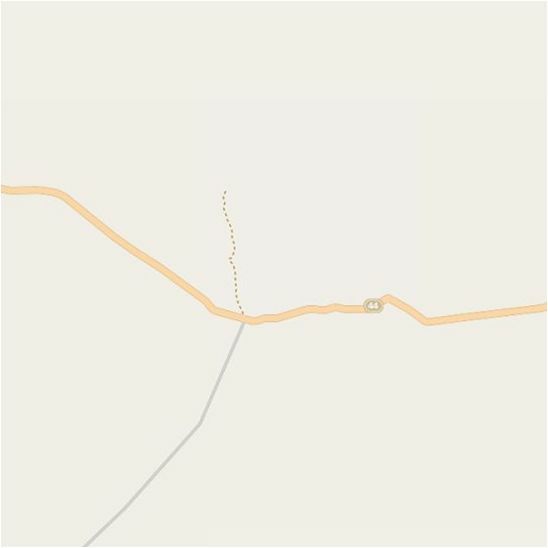 All of the map data is stored in the OpenStreetMap database (http://osm.org ), under a license that ensures the data is freely available and open for a range of uses. This work began as part of the RELIEF Exercises 11-4 at Camp Roberts in August 2011, and focused primarily on the legal and policy issues associated with sharing imagery. Now with RELIEF Exercise 12-3 happening in DC this week, the project is moving into its first technical implementation. As a proof of concept, the HIU is publishing imagery for the refugee camps in the Horn of Africa, and making the imagery available to the volunteer mapping community. The goal is to produce detailed vector data for the refugee camps, including roads and footpaths in and around the camps. There are tens of thousands of refugees living in these camps who are victims of famine and conflict, and these data can be used to improve planning for humanitarian assistance. How to help: We are going to open access to the imagery on Monday 21 May 2012. We would like to spend two 24-hour periods tracing the areas of interest, which will include 11 refugee sites. All work will be done through the HOT Tasking Manager (http://tasks.hotosm.org), a microtasking platform that will split up the image tracing into ‘tiles’ that will require approximately 30-45 minutes to map. Accomplishing this task will require that volunteers become familiar with OpenStreetMap and the basic concepts of mapping. But, don’t worry, there are plenty of resources out there to help. For more information on the OpenStreetMap (OSM) process, see the “Beginning OpenStreetMap Tutorial” available from the LearnOSM website (http://learnOSM.org), specifically Chapters 1,2,3,6. For more information on HOT’s work in Somalia see the HOT Somalia project page, and other HOT related materials on the HOT wiki.